I love this, he’s so cute! The subtle purples really help accentuate the transitions between highlights and shadows, here. The light source is placed perfectly to showcase his damp nose and flesh out the eye. Thank you – purple is one of my favourite and probably overused colours. 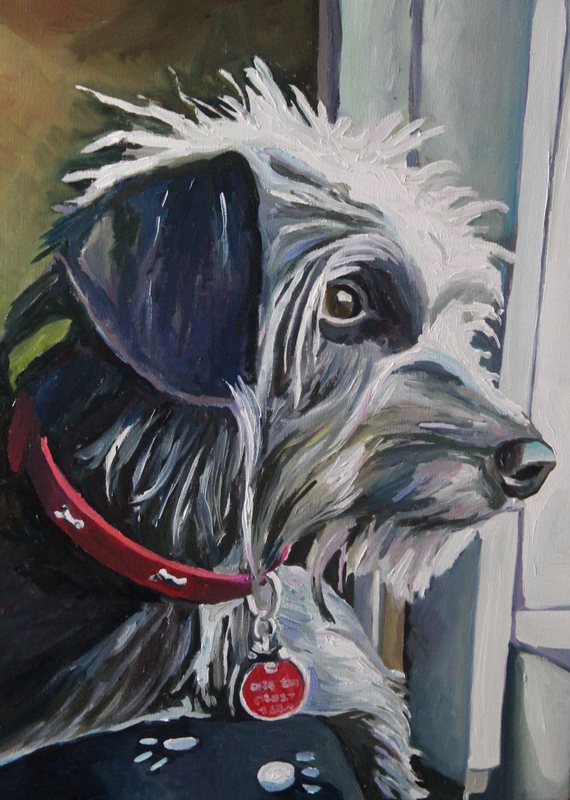 Thank you – this was a commission and I hope I caught the personality of this beautiful hound.